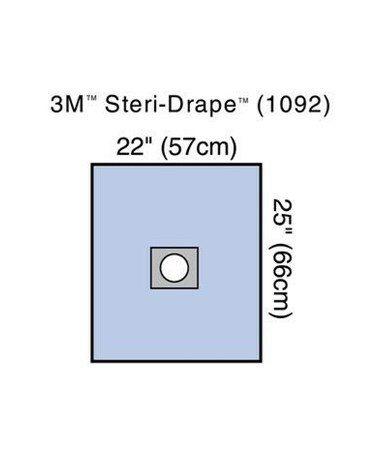 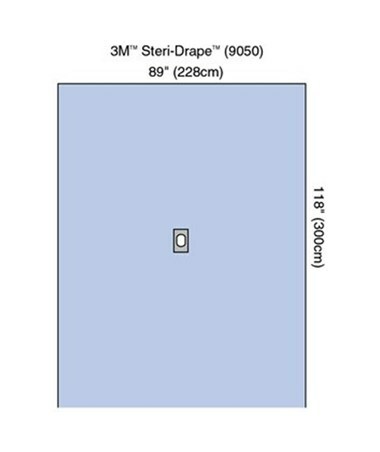 No-Fluid Strikethrough and eliminates the need to define a "critical zone"
The 3M Steri-Drape™ with Aperture, Surgical Sheets is a low-linting and nonwoven material that is laminated to a plastic film designed to absorb spills and splatters. 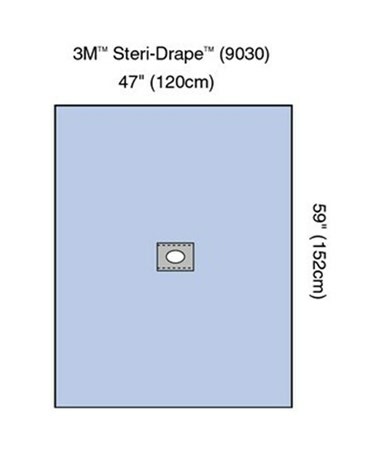 Made with an absorbent prevention fabric, the Steri-Drape™ isolates the surgical site from lid margins, eyelashes and eyebrows to help reduce the risk of surgical site contamination. 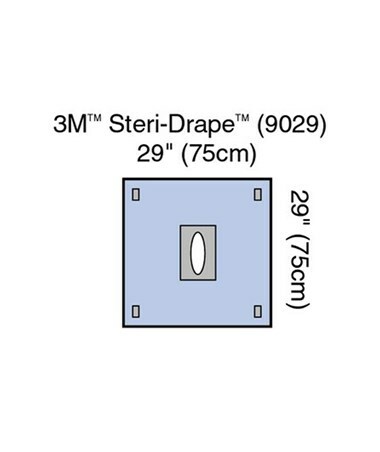 The adhesive film ensures a secure attachment, excellent performance during application, no fluid strikethrough and eliminates the need to define a "critical zone." 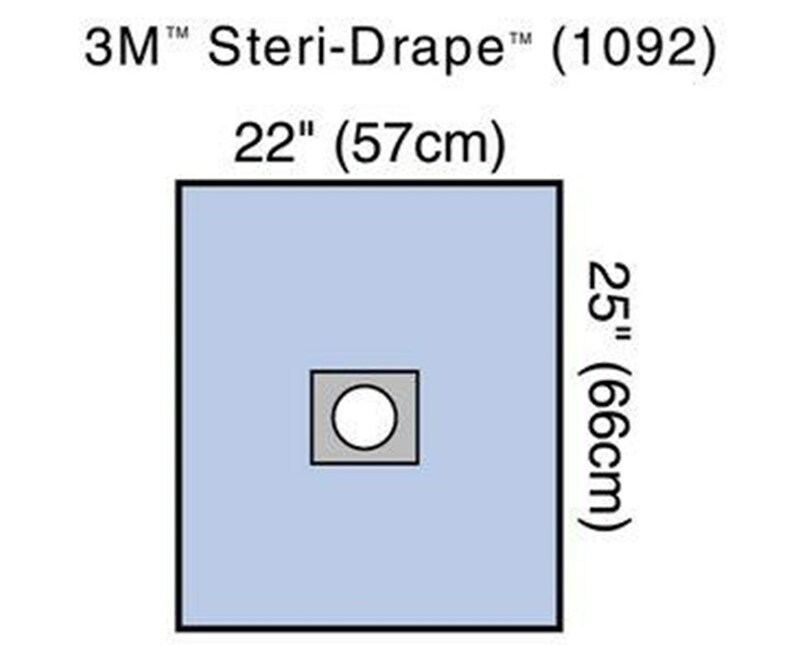 Classified as Flammability Class 1, the Steri-Drape™ meet and guarantee the requirements of the Flammable Fabrics Act (FFA).